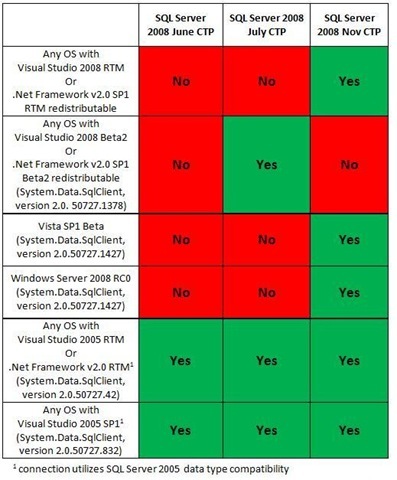 There is good post from ADO.NET Team about connection from .NET Framework and Visual Studio to SQL 2008. I am giving a talk this Thursday in front of SofiaDev .NET User group at local Microsoft office at 18:30 local time. 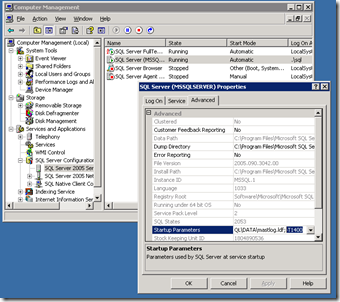 I had interesting case last week - I had to setup SQL 2005 database mirror. First it sounded as piece of cake - I had to follow steps and recommendations as described in SQL Server Books Online (and here). My goal was to setup DB mirror of type High safety with automatic failover (synchronous). "Data Source=myServerAddress;Failover Partner=myMirrorServer;Initial Catalog=myDataBase;Integrated Security=True;"
) to a simple web application but when I stopped the instance that hold Principal database the mirror database didn't became principal as expected. 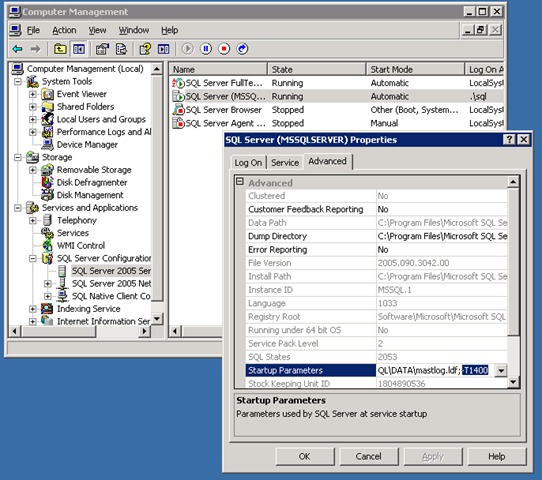 Note: This test was done on SQL 2005 Standard Edition with SP2 on Windows 2003 Standard with the latest updates. I decided to test this on SQL 2005 Standard (with no SP2) in Win2003. And it worked. 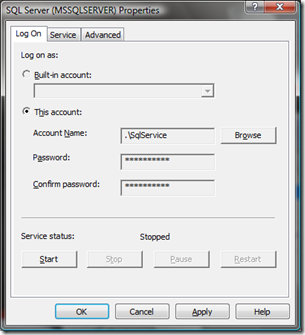 I applied SP2 then and I as able to setup DB mirroring again and everything worked as expected - even automatic failover. The title might seems strange as in 99.99% of cases we cannot afford Visual Studio in production environment. Even hardly mention this possibility could drive sysadmin crazy ;). Last moth Vladi Tchalkov gave a nice presentation on the subject on SofiaDev monthly meeting. 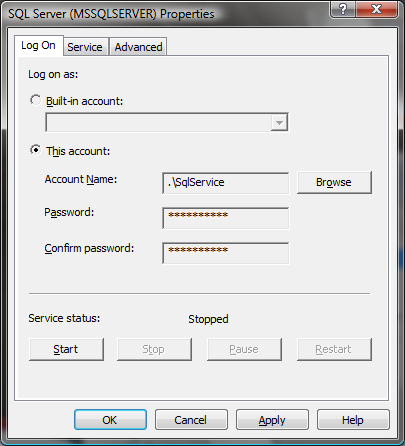 It could give some nice ideas how to troubleshoot issues in application in production environment. Feature specifications are posted on MSDN so everyone who is interested how to write specifications or how looks like specifications inside Microsoft can take a look at Feature Specifications for Visual Studio 2008 and .NET Framework 3.5 in MSDN. All documents are in XPS format. VS 2008 and .NET 3.5 are RELEASED !!! I've just read ScottGu's blog post (from an hour ago) where he announces that Visual Studio 2008 and .NET 3.5 Released as well as many many links for info about new IDE version. I have to say it behaves well in all test pages up to now... well what happened?! Unfortunately this happened on very complicated page with master page, themes, pieces loaded into page from DB and so on... briefly said difficult to isolate the issue. But still.. we are talking for HTML&JS so this is where the search should start ad more precisely - around map code (you can find more how to setup such map on Google Maps API Documentation). That means that when the script is run, it's acting on a map within a table which hasn't been finalised because the browser hasn't reached </table>. In IE, everything within that table is treated as though it has zero size until the browser reaches </table> and sorts it all out. Pure XML won't be supported nor Web3S. Supported formats will JSON and ATOM. there are few more points in original post too. It seems ADO.NET Data Services is close to production. If you've played with C# 3.0 and LINQ you might feel bored with good old .NET 2.0 projects. But wait! There is a way to use LINQ to Objects in .NET 2.0 projects. LINQBridge makes this possible. But how? You can-but the query operators will be awkward to use without lambda expressions, extension methods, query syntax, etc. More info you can find at LINQBridge official page as well as source code. Thanks to Joe Albahari!